June 2014 marked Clinard Dance’s world premiere of Chicago’s Watershed: A 156-Mile Choreography at the University of Chicago’s Reva and David Logan Center for the Arts. In developing the work, choreographer Wendy Clinard took Stravinsky’s revolutionary work The Rite of Spring as a starting point for an examination of the ebb and flow of life along the Chicago River. 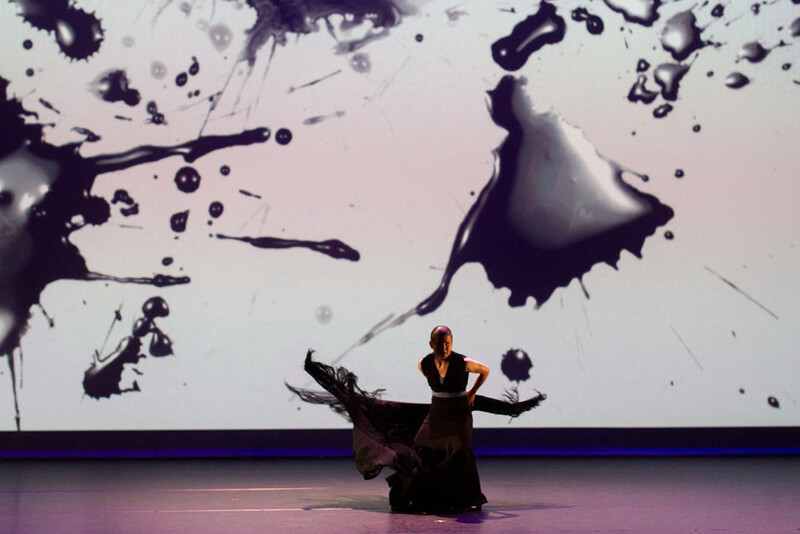 The music is presented in a minimalist form, in an arrangement for Piano four hands performed by the Estrella Duo, and accompanied by Dmitry Samarov’s video-projected ink artwork. At the heart of the piece is Wendy Clinard’s unique style of American flamenco, presenting in Chicago’s Watershed a rhythmic dialogue between city, man, and river. The story is ancient, basic, and very simple; it’s about living respectfully with one another and the natural world. But the work uses dynamic, powerful, and surreal means to talk about this in an urgent and inventive way. 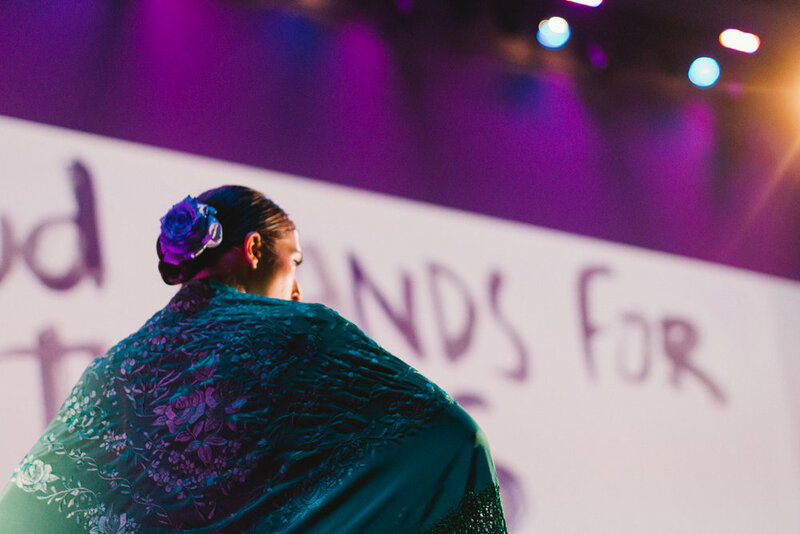 In hearing and seeing this as a whole, it serves the audience as a fuel to spark a wake-up call: We must not separate the river from the city, the city from the people, the people from each other. The dancers movements ranged from intimate and symbolic to urgent and expansive, from violent staccato angles to the fluid sweeps and arcs of the manton shawl. New City. Chicago's Watershed travels with 6 people, including one technician. A full press packet, including performance fees and tech rider, is available on request at info@clinardance.org. Interested in booking the Chicago's Watershed Performance? Contact Clinard Dance today.